After a long, cold, snowy, long, so long, winter, spring is finally, blessedly here. 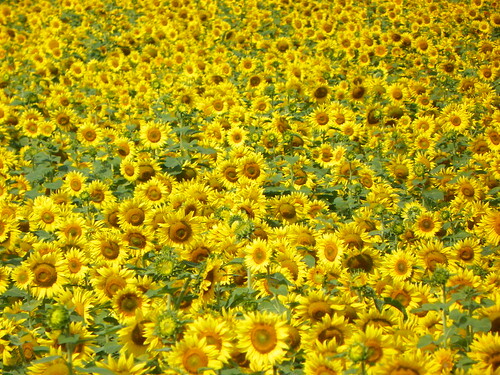 What a boon, to wake every morning to a newly greened world! 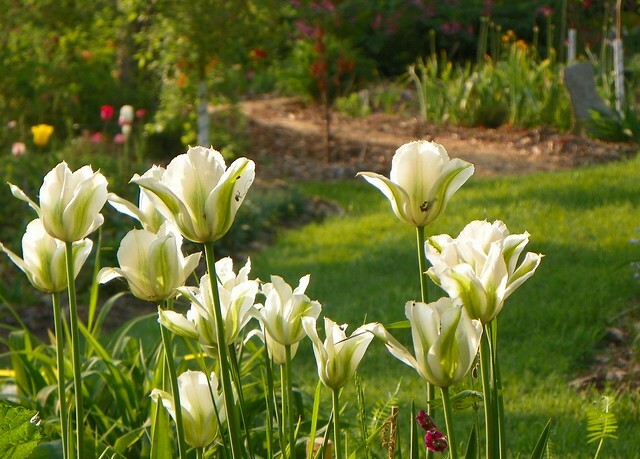 What could be more soothing to the winter-weary soul than a walk in the spring garden? Our weather has been variable. We had a ridiculously hot week recently, with temperatures exceeding 30C (86F), only to be followed this week by much cooler temperatures, dipping to near zero at night, with a frost warning in the forecast for tomorrow night. 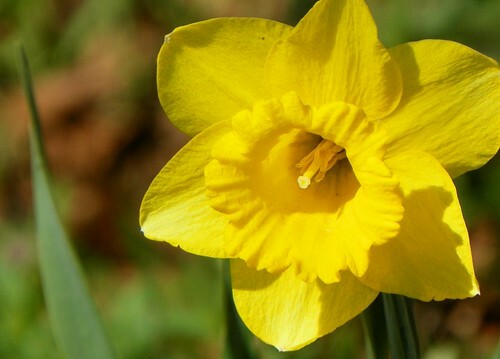 The 24th of May is generally regarded as the frost-safe date here. Nevertheless, the spring garden is well underway. 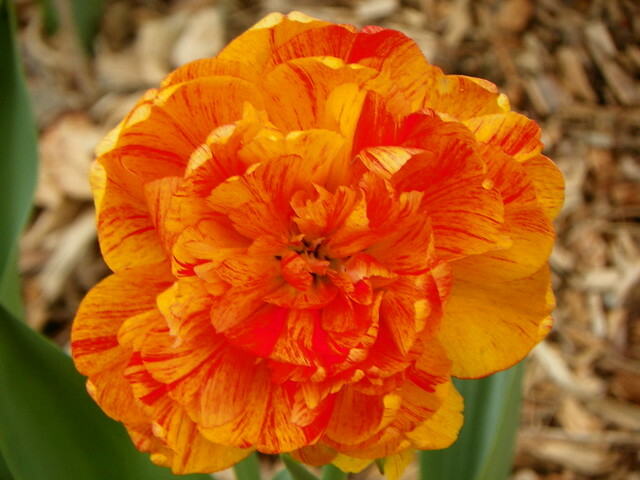 Of course, the spring bulbs are always welcome. 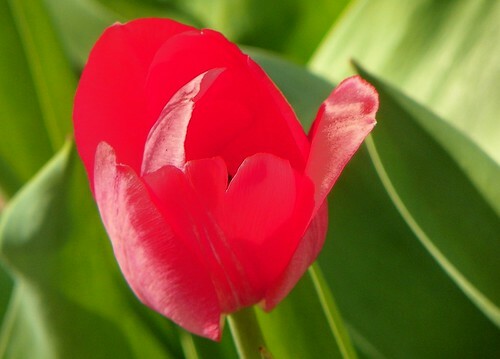 My favorites are tulips. This year, I have enjoyed a new planting of peony-like blooms in brilliant colours. Speaking of peonies, all of the dozen new peonies I planted last year are doing well and starting to bud. 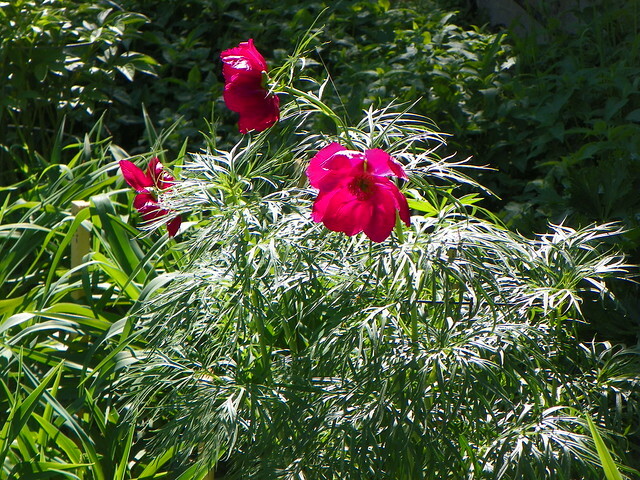 The first to flower, well in advance of the other peony varieties is the fern-leaf peony (Paeonia tenuifolia). 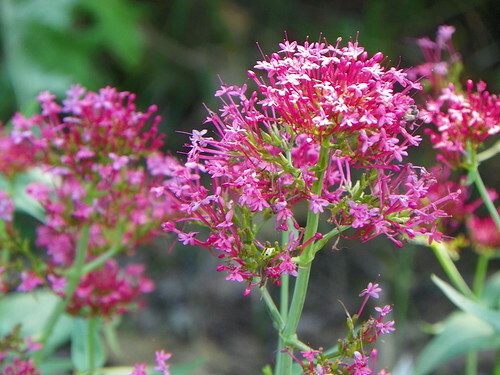 It can be appreciated for both its fine foliage and brilliant red flowers. Ornamental rhubarb (Rheum palmatum ‘Atrosanguineum’) is one of the first plants to push up shoots as soon as the snow melts back. The young leaves are a glorious red. 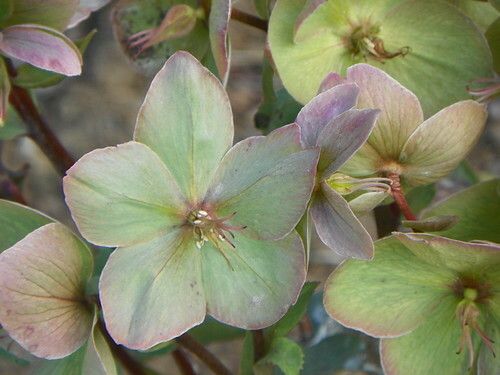 By now they have settled into a more staid green, but are impressive in size, some nearly two feet across. 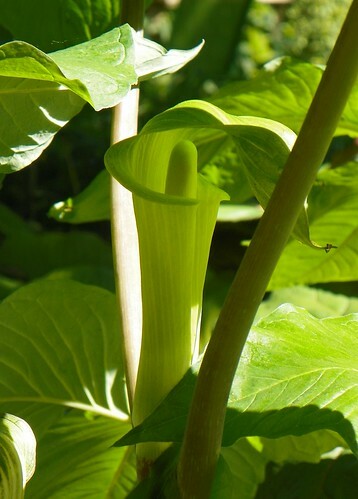 The stalks that will soon boost feathery plumes of creamy flowers are nearly six feet tall. 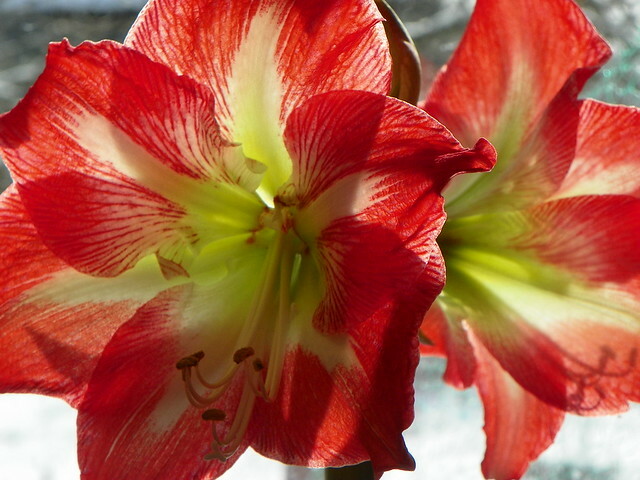 The flowers are tenderly embraced in a red wrap that gently unfolds to release the plumes. 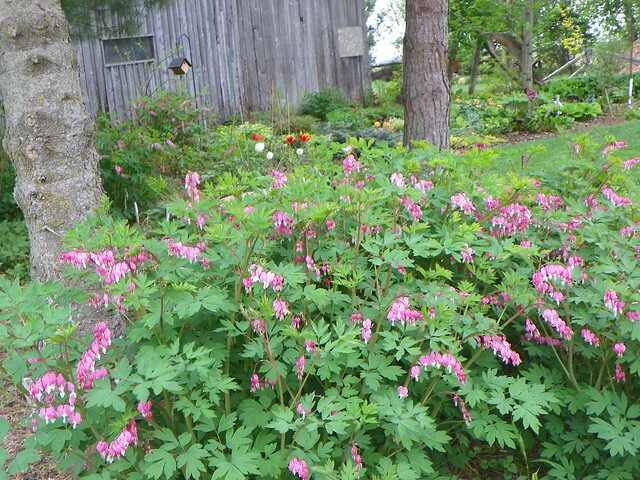 Bleeding Heart (Dicentra spp.) 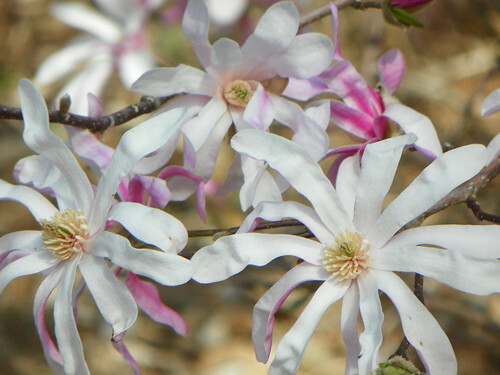 is a stalwart of the spring garden, an old-fashioned favorite that always pleases. 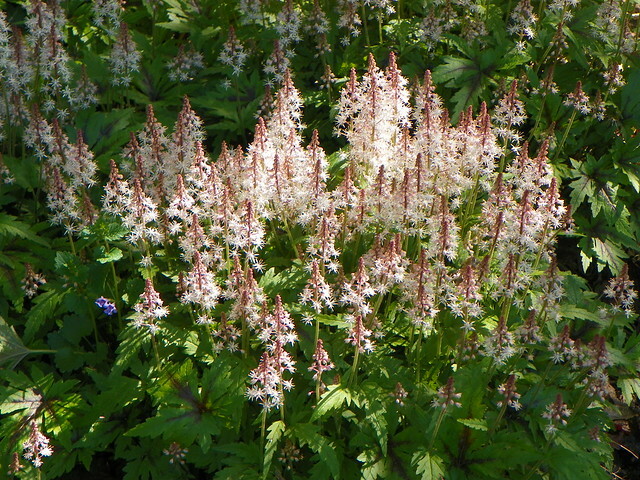 Here is my favorite tiarella, ‘Sugar and Spice’, putting on a terrific show. 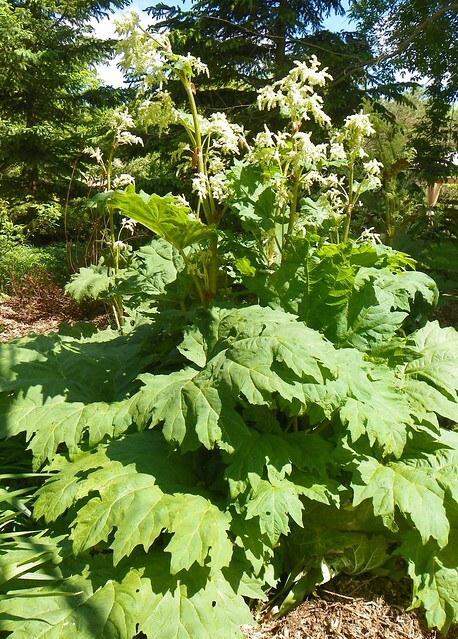 The common name for tiarella is foamflower, for the appearance of the light, foamy mass of flowers. I’ve never had much success with the most commonly available primrose species, polyanthus (Primula x polyantha). 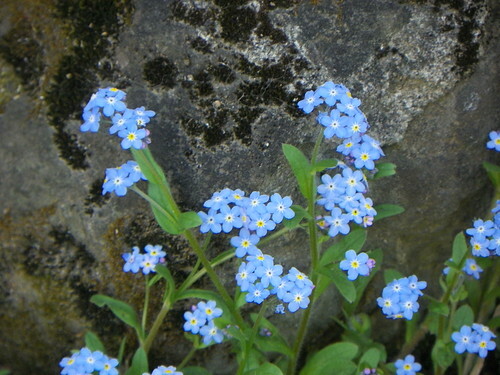 They do okay for a year or two before fading away and disappearing. 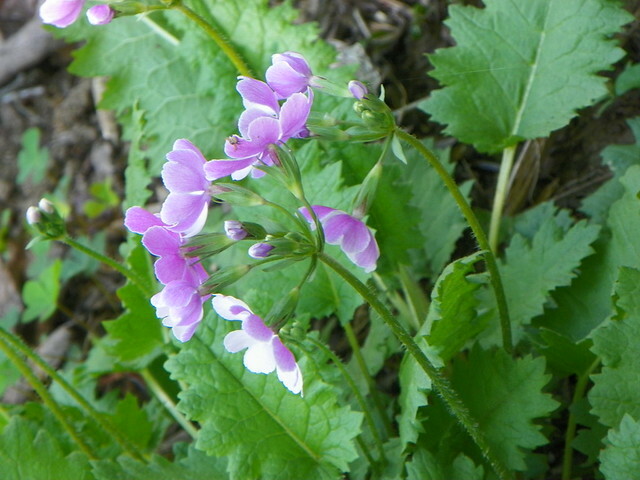 Last year I planted a different species, Primula sieboldii ‘Cover Girl’. 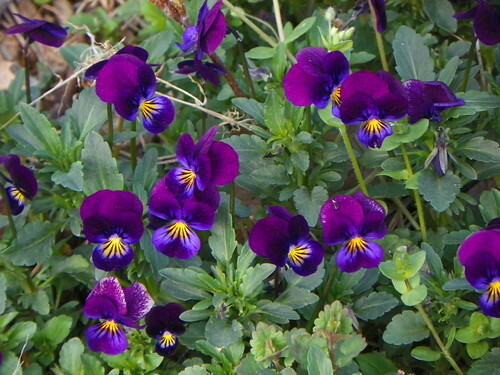 I have been very pleased this spring as the two plants I acquired last year have reappeared as sturdy clumps. 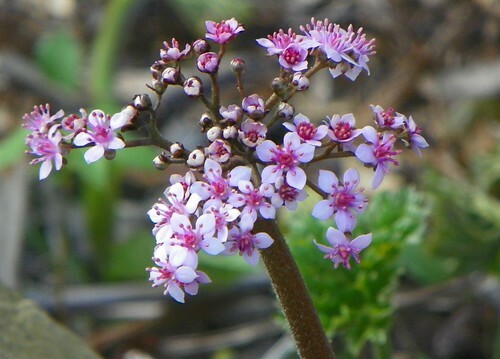 The dainty flowers have silvery white faces, but the reverse side of the petals is violet pink. 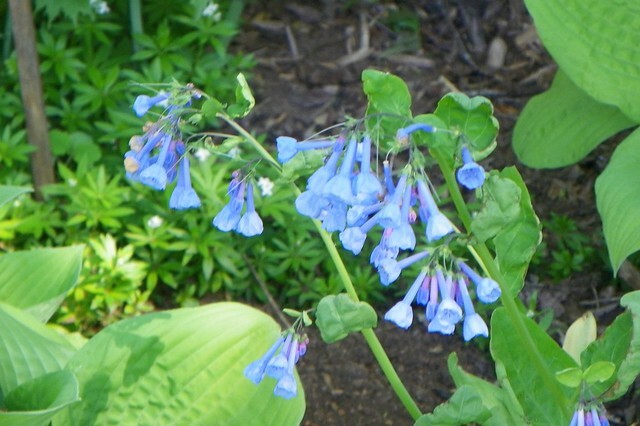 These Virginia bluebells (Mertensia virginica) were new last year and are adding a pop of blue this spring. 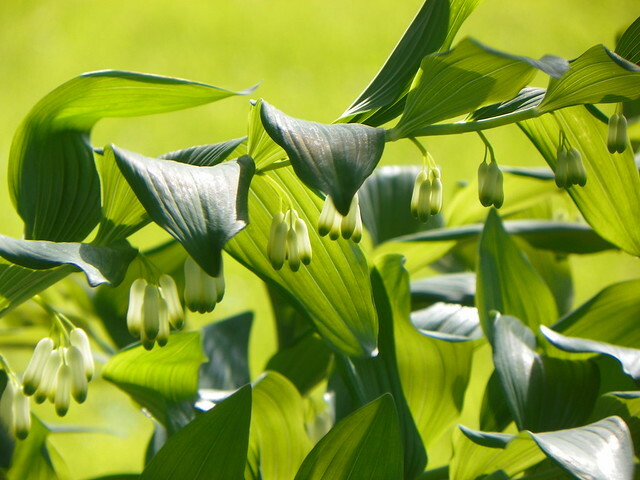 The long stems add movement to the flower bed as the stalks sway in any breeze. 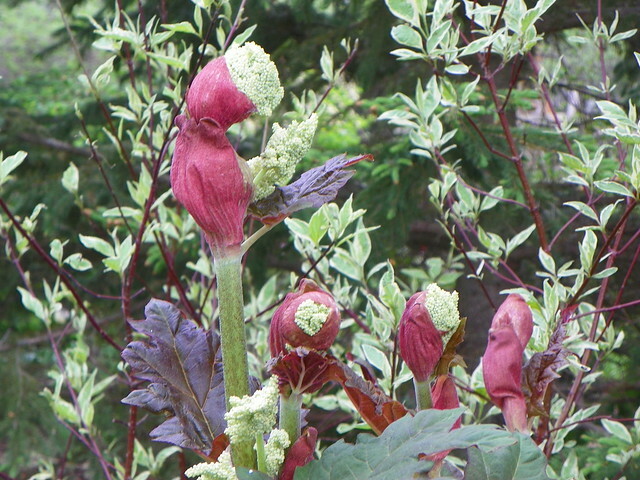 Epimediums, with many different cultivars available, attract collectors. I just have three varieties. 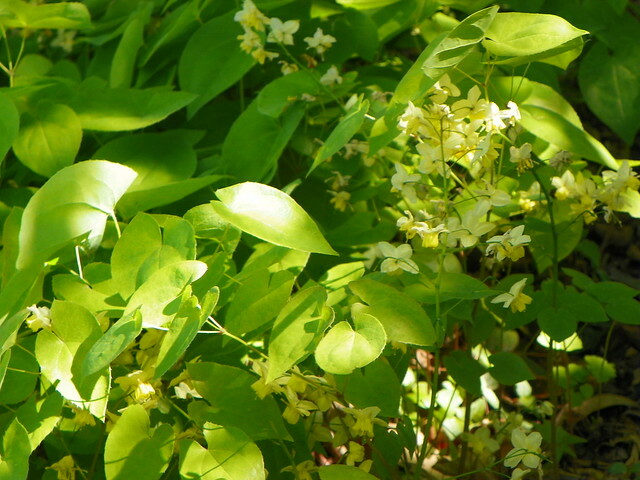 This is Epimedium versicolor ‘Sulphureum’, which features sprays of tiny, bright yellow flowers that look like miniature daffodils. 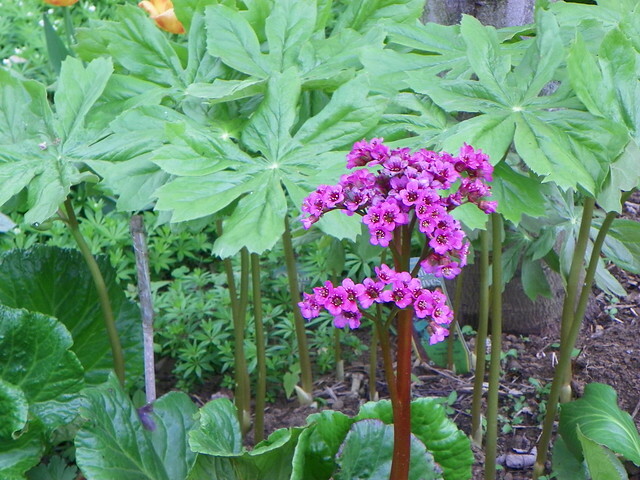 Here’s the brilliant flower head of Bergenia ‘Eden’s Dark Margin’ blooming against a background of the umbrella-like leaves of our native mayflower (Podophyllum peltatum). So that’s a little taste of the May garden. 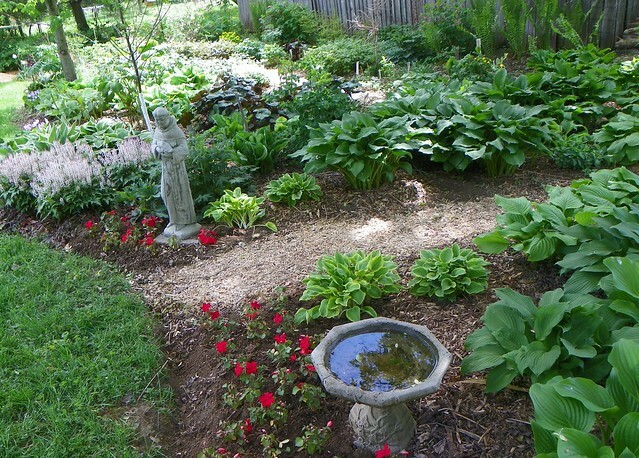 I’ll close with this view of St. Francis marking the entrance to the woodland garden path, surrounded by still-emerging hostas and impatiens.